Backus Real Estate is pleased to announce another successful sale on Old Orchard Rd in North Haven. 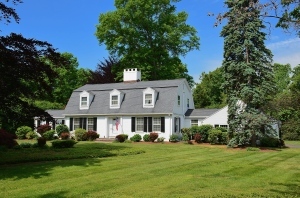 This Douglas Orr designed Dutch Colonial was a pleasure to show and to sell. All our best wishes to the proud new owners! Next Estate Lot Opportunity – pond, paths, and room for horses.